Love may come in many forms, but for Hispanic Toyota owners, it’s definitely in the shape of their cars. From “Piñata” and “Gorilla” to “Magic Bus” and “Rocker,” guests have bestowed many imaginative names upon their vehicles to illustrate their special bond. 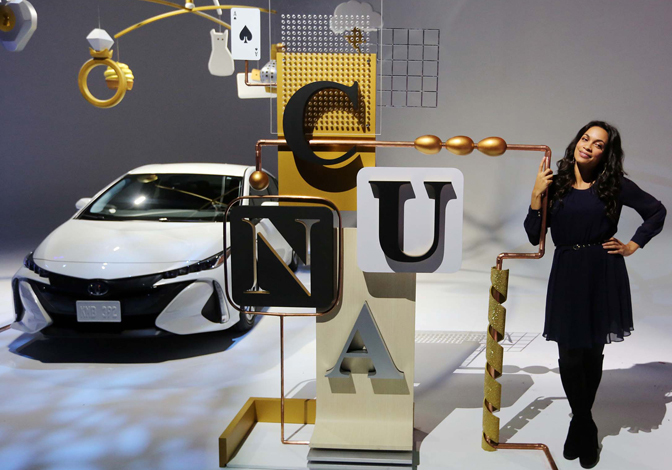 Unveiled during a star-studded red carpet event in Los Angeles on February 1, The Book of Names contains thousands of monikers that have been shared by Toyota owners with the brand during its Más Que Un Auto (More Than A Car) loyalty campaign. It also features charming stories and fun facts behind some of the most popular vehicle names. The LIVE book reveal featured in-person readings by actress Rosario Dawson, TV hosts and actresses Chiquinquira Delgado and Ximena Córdoba and People en Español’s editor-in-chief Armando Correa, as well as special performances by GRAMMY-award winning band La Santa Cecilia and top U.S. disc jockey, Alex Sensation.